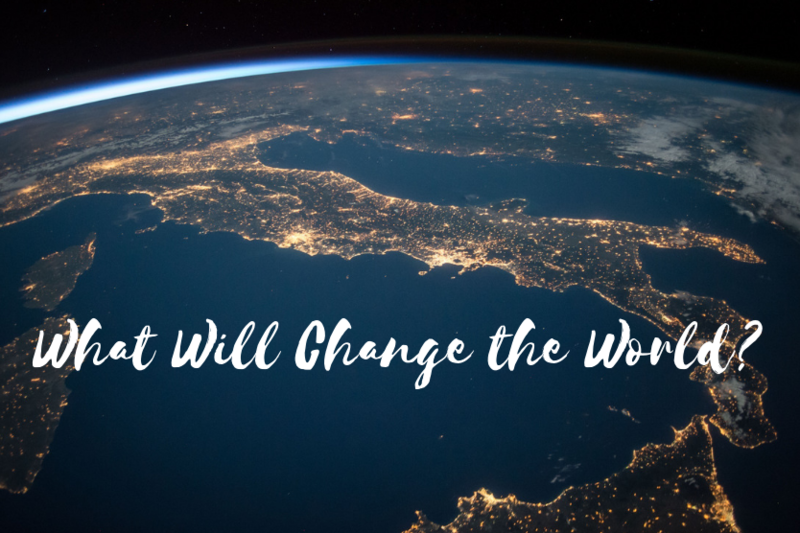 We all want to see the world changed, and we all want to see it changed for good. First, we must look at the world realistically. World history has shown us plenty of people and groups who wanted to change the world to fit their view of what the world should be. History is filled with tyrants who would do anything for power. When we look at the world we see the rise of evil. We face people who have no regard for human life. While that is most evident in lands without a Christian history or memory, we also see that all around us. Life is devalued daily, and people are unloved and uncared for. We must recognize what we face. Second, we must see how the world has been changed in the past. Ancient Rome had all the power and used that power in barbaric ways. Slavery, greed, and immorality ruled the day. The gladiatorial games featured slaves and condemned people who fought to the death. Common people were amused at this barbaric sport. What could change such a system? Within 300 years of the death and resurrection of Christ, the world changed. It changed by the power of the Gospel. Jesus called disciples and promised to make them “fishers of men.” They accepted the challenge, and the world became a different place. The successors of those disciples also fought slavery and racism and brought change to the world. The change within brought a change without and made people new. Third, we must send missionaries and be missionaries. Jesus sent out His disciples two by two. He left all of us with the mission of preaching the gospel and making disciples. He called His disciples to go into all the world and empowered them with His own Spirit to do what He asked. Fourth, we must be able to give an answer to the hope we have in Christ (1 Peter 3:15). The people who need to know about hope are everywhere. They are in your schools and in your homes. They are neighbors and fellow workers.